The heart-shaped glacier on Pluto's surface is made of nitrogen, carbon monoxide and methane. Researchers aren't sure how it formed. Pluto is not dead. That&apos;s the bottom line, according to new research published in the journal Science. The dwarf planet is home to mountains, glaciers and a hazy atmosphere that stretches for a hundred miles above the surface. "It is this really active dynamic world," says Cathy Olkin, the deputy project scientist of NASA&apos;s New Horizons mission, which flew past Pluto on July 14. Even though the spacecraft whizzed past Pluto months ago, new results are still coming back. That&apos;s because data flows at a trickle over the more than 3 billion-mile chasm between New Horizons and Earth. "It is way slower than an old dial-up connection," Olkin says. The newly published results provide an official radius for Pluto of 1,187 kilometers (smaller than Earth&apos;s moon). 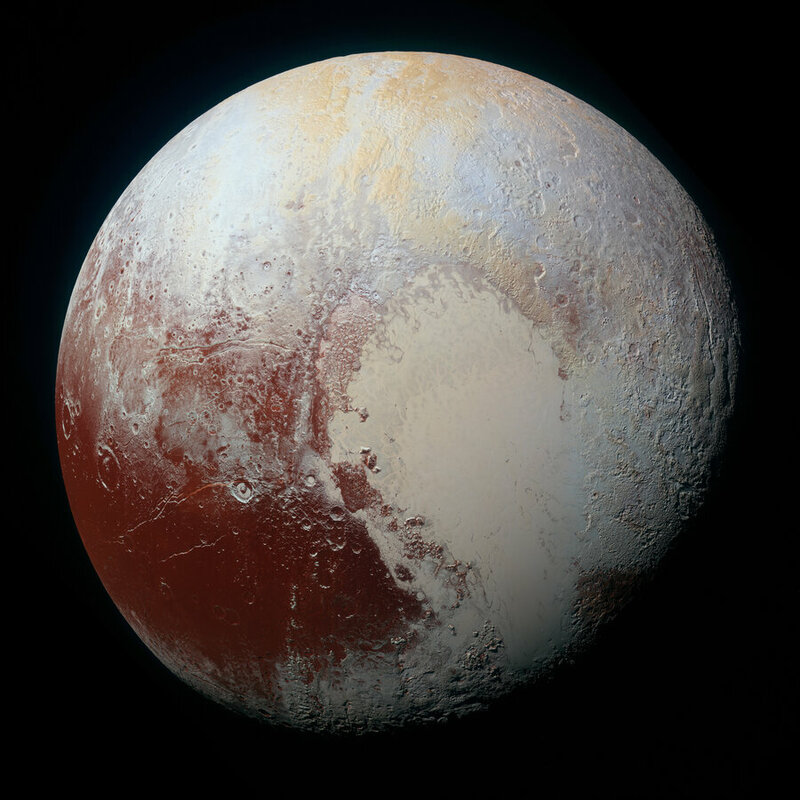 Olkin says the research also shows that the large, heart-shaped feature on Pluto&apos;s southern hemisphere is a glacier made of carbon monoxide ice. 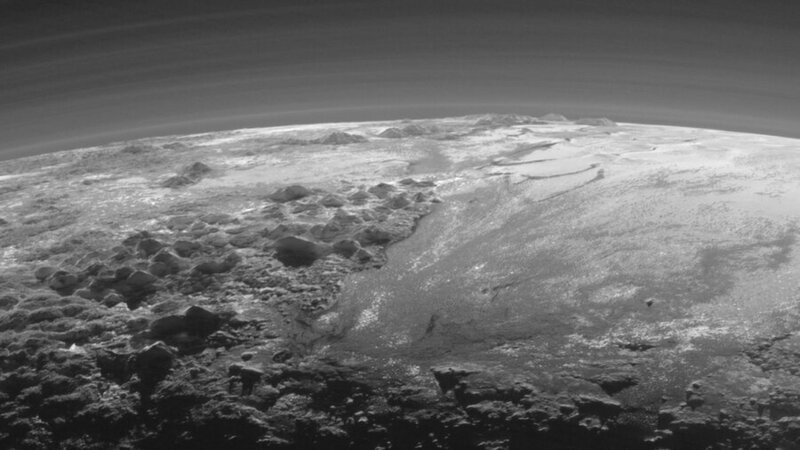 Pluto also has a nitrogen atmosphere mixed with different hydrocarbon molecules. "There&apos;s widespread haze to a really high altitude, like a hundred miles above the surface," Olkin says. 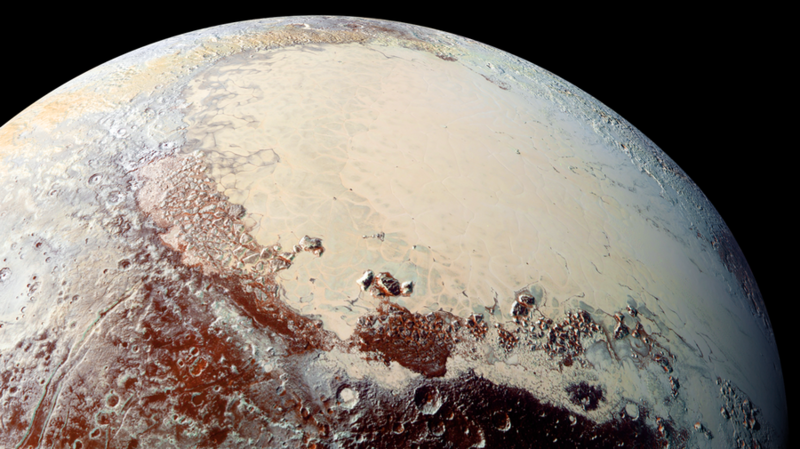 Researchers still want to learn why Pluto is so active. One possibility is that the dwarf planet has some sort of heat source deep within its core that causes glaciers to form and mountains to erupt from the surface. But Michael Brown, an astronomer from Caltech not associated with the work, says other possibilities should be considered. "They have yet to demonstrate that internal heat is required for any of the features seen on Pluto," he says. For example, it could be that the ices on the surface move around and change the landscape. Either way, Brown says, this look at Pluto is incredibly valuable. Astronomers now know that it is one of a whole class of "dwarf planets" lurking at the edge of our solar system. "By looking at Pluto, we learn about the many many other things like it in the outer solar system," Brown says. "That&apos;s the reason why I am super excited about this."